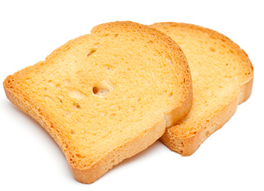 Zwieback is a bread (usually a white bread), sliced, and twice-baked to preserve freshness. It is made from wheat, milk, a rising agent (like yeast), fat, eggs, salt, malt, and sugar. After it is baked the first time, it is called Einback. After it is baked a second time, its moisture content is only 4%. The shelf life of Zwieback is about a year. Zwieback is a German tradition that dates back to the 17th century. It began as food for the military, sailors, and travelers because of its long shelf life. It wasn't until later, after its taste was improved, that it became used in homes. Today, it is loved by children. It is also enjoyed for breakfast, as an energy-rich snack, and it is also known as a good bland diet for those suffering from stomach problems. The Zwetschgen season is very brief - from late August through September. Brandt Zwieback is a German classic! 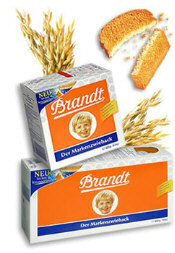 The Brandt Corporation is the best known and leading Zwieback producer in Germany. It was founded by Carl Brandt as the Märkische Zwieback- und Keksfabrik in 1912. Distribution of his Zwieback and cookies was done by horse-drawn carriages. In 1929 the company invented and patented the first Zwieback-making machine, thereby automating the entire Zwieback production process. By 1937, after 25 years in business, the company had grown to 700 employees. Instead of a horse-drawn carriage, twelve large trucks took care of distribution. Over the next fifty years, from 1940 to 1990, Brandt purchased and took over several smaller competing Zwieback factories. By 1990, sales of the Brandt Company reached 500 million German Marks (approx. $342 million). The next few years were again characterized by further take-overs, resulting in the Brandt Corporation in 1997 with 1,800 employees and an annual sales volume of 260 million German Marks (approx. $178 million). 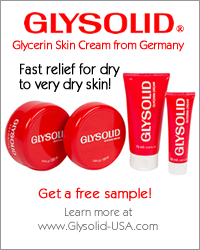 In 2002, the 90-year old company opened a new production facility in Ohrduf in the German state of Thüringen.